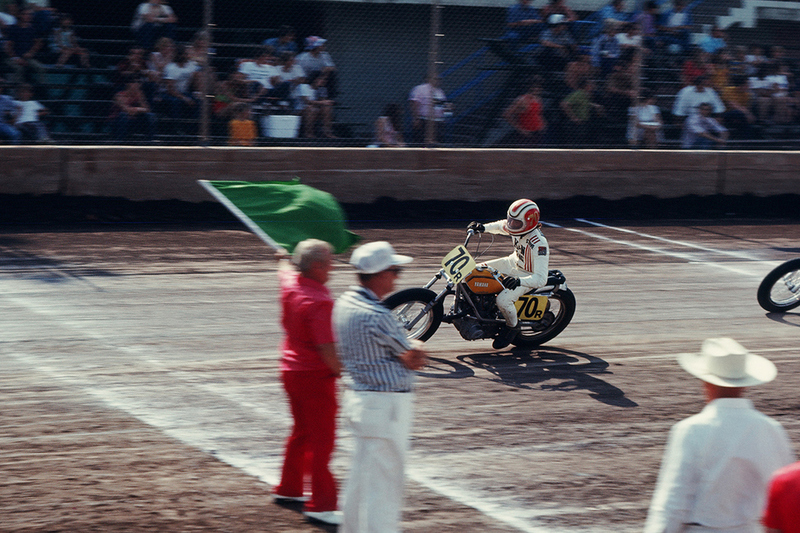 'Evel Comes to Cooperville' is a new collection of previously unseen photographs published by Done to Death Projects. The story goes author Garret Colton was rooting around his grandparents’ attic and found a dusty old box labelled 'Evel Knievel slides & film, 1972'. His grandfather Jack Cooper, a car salesman met Evel by chance in Las Vegas and they really hit it off - so much so Evel suggested for publicity he travel down to Oklahoma to jump the cars at Jack's Cooperville dealership. Buy the book here to find out how the stunt went, going by form we reckon probably intensive care. Done To Death Publications, 60 Pages, Paper Bound Hardcover, Edition of 250, 8.5”x11"